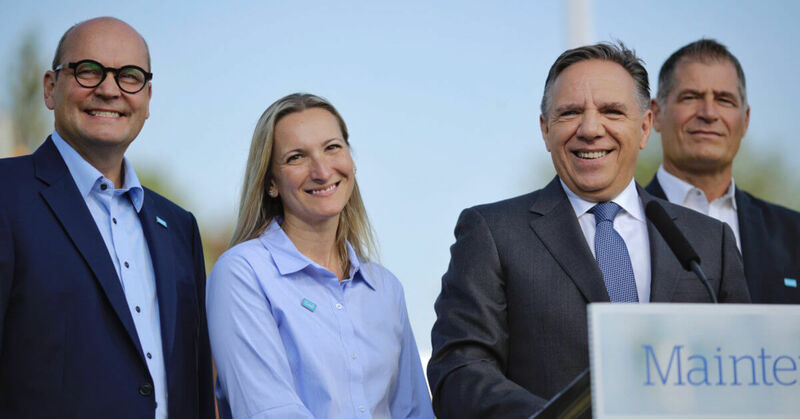 Together with CAQ candidates Claude Reid (Beauharnois), Marilyne Picard (Soulanges) and Claude Bourbonnais (Vaudreuil), François Legault announced a major school expansion, renovation and building program. His proposal also includes holding an architecture competition for each school expansion or construction project. “A CAQ government will provide the best for our children, and that starts with beautiful schools. We want to give them the most beautiful schools in the world, nothing less!” the CAQ leader said, enthused. After fifteen years of Liberal government, only 45% of grade schools, and 53% of high schools are considered in “fair” condition. Which means one Québec school in two is judged to be in bad or very bad state. “It’s a shame for Québec. The Liberals should be ashamed! Our schools reflect 15 years of neglect from the Liberal Party!”, François Legault denounced. While this Liberals’ balance sheet represents a major problem, it is also an opportunity according to the CAQ leader: the opportunity of doing more and doing better for our children. A CAQ government will launch a vast school expansion, renovation and construction program which will benefit from substantial funding and will be planned over a multi-year period of five years. The CAQ also intends to hold an architecture competition for each new school built. “When it comes to construction, we must place beauty and attractiveness at the centre of our priorities”, Legault stated. “The Liberals have been in power fifteen years and if we want to do more and to do better for our children, if we want to give them the most beautiful schools in the world, we have to start by replacing this government. The only party that has the team to defeat the Liberals and form our next government, is the CAQ,” he insisted.